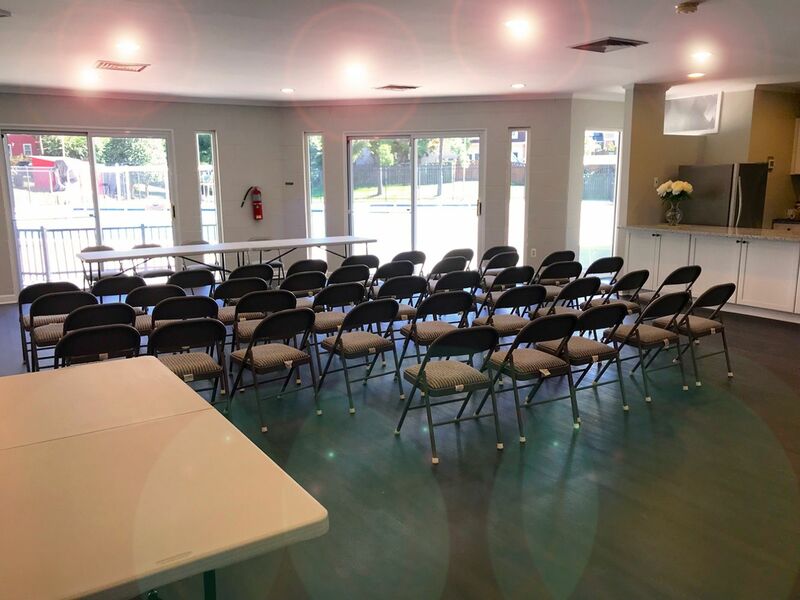 Rockshire Community Room is available for HOA and Pool members to rent for parties, meetings and events. 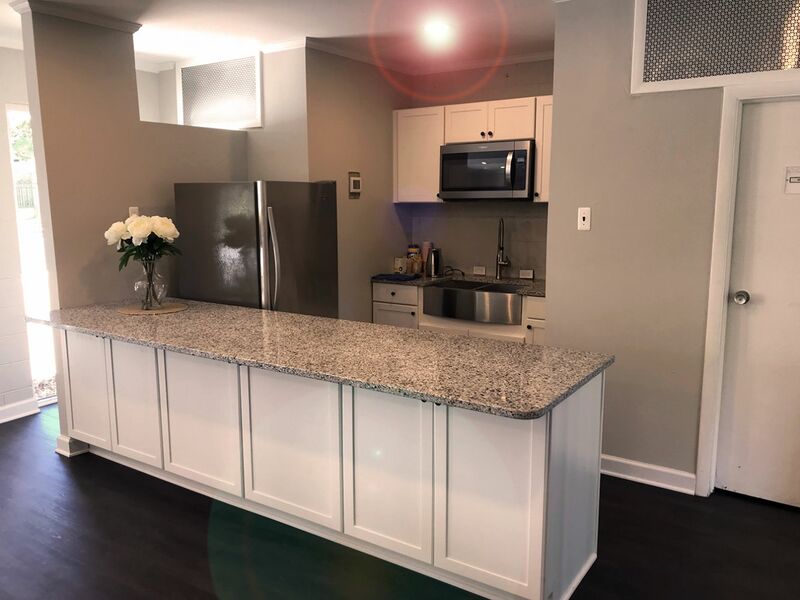 Upgraded Kitchen Area with new refrigerator, all new cabinets, new sink. Kitchen area now has a microwave. Homeowners planning to add, change or replace any exterior elements of their properties such as replace windows, roof, siding, add fences or solar panel, remove trees, etc., are required to apply for and receive Rockshire Architectural Control Committee (ACC) approval before work begins for each project. The ACC, comprised of volunteer homeowners, is charged with applying planning guidelines and standards to preserve the harmony and architectural character of the community. STEP 3: Download and fill out the ACC Application - if appropriate, include the property survey plat, samples of materials, and your contractor proposal. STEP 4: Submit your application using the information on the form. You will receive the application resolution letter. STEP 5: If approved, proceed with your project and notify IKO when the project is completed. If Denied, make adjustments to your plans to comply with the architectural guidelines. You can contact IKO for additional information regarding your approval or denial letter. *Please be advised that due to possible technical issues beyond our control, messages from the Contact Us page as well as sent directly via email, occasionally are filtered by the spam filter server. If you do not get a response from Linda or another person at IKO within 48 hours, please call the IKO office at (301) 924-4050 for follow up. 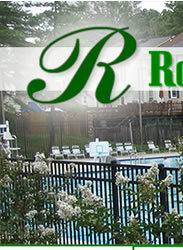 Rockshire is currently accepting pool membership applications for outside members. Receive a $25 discount if the application and payment is received by May 15, 2019. Download the application form and instructions by clicking HERE. Interested in Working as a Lifeguard as the Rockshire Pool? 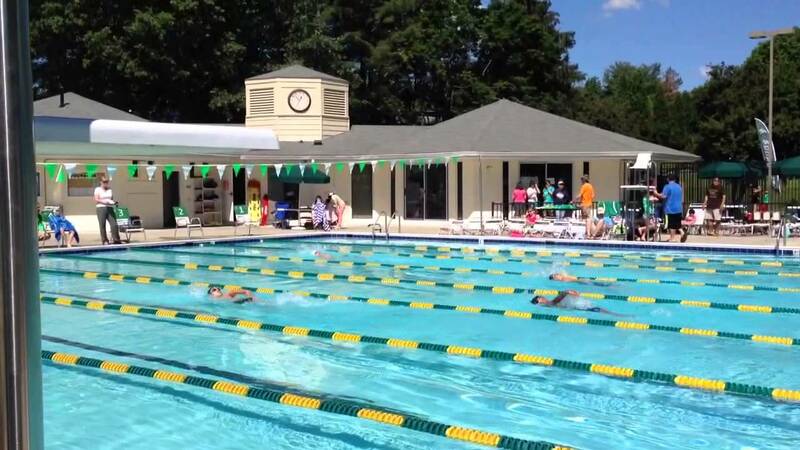 Anyone interested in joining the Rockshire Pool lifeguard and pool management team is encouraged to apply with Georgetown Aquatics, our pool management company. Please visit http://georgetownaquatics.com/employment/employment-opportunities/ for employment information. No HOA meeting in April. Next meeting Wednesday May 8 at 7:00 pm at the Rockshire Clubhouse. Montgomery County Public Schools Office of School Support and Improvement is leading a series of community meetings to learn about the MCPS Equity Accountability Model and other strategies the district is using to monitor and report student achievement. The Equity Accountability Model proposals have generated a lot of buzz among the county communities due to possible future school district boundary changes, with some residents supporting the proposed changes - and some strongly opposing them. We’ve had a very rainy summer and fall – many roofs show need for cleaning/ power washing. Exterior and siding: power wash siding, porches, walkways and brick walls that show signs of mildew or dirt. Clean out the gutters. Fences: Please make any repairs to fences as necessary. Leaning fences or missing boards should be addressed. Painted surfaces: Inspect walls, window frames, door frames and other trim for wood rot and damaged paint. Repair/replace and paint trim to prevent further deterioration. Remove dead and dried up plants and weeds and trim lawn or plants as appropriate. 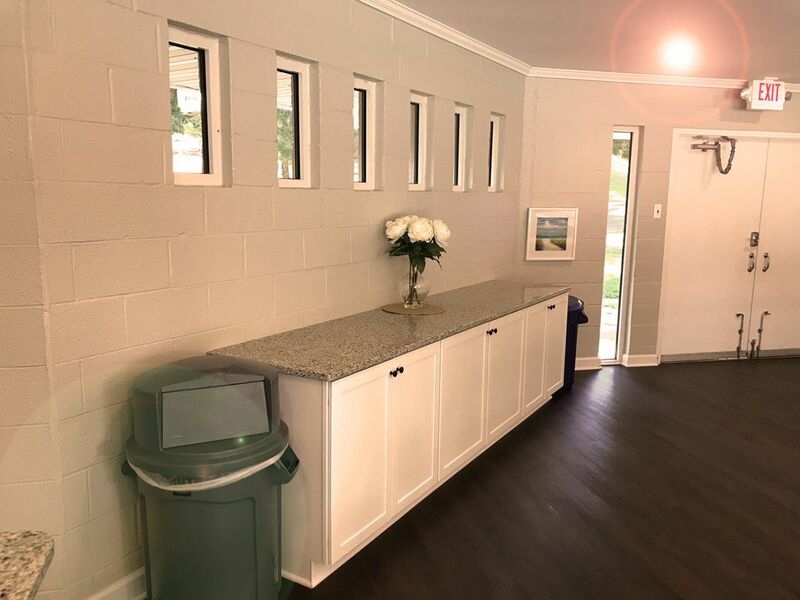 Garden supplies, ladders and other miscellaneous items should be stored out of view. Car ports and side of garage are not allowed for storage. Please remember that the trash and recycling containers should be placed at curbside no earlier than 7pm the evening before pickup and removed no later than 8 am on the day following pickup. Important: if you receive a violation notice, please correct the violations by the requested deadline to avoid fines. Please pickup your pet’s waste. We all love our furry friends but dealing with pet waste that has been left behind is not fun for anyone. Please be sure to pick up after your pets and properly dispose of your pet waste bags. Your neighbors will thank you! Saturday, May 4 from 8 AM till 10 AM – meet at the playground at Gormley and Monet 7:50 AM. Wear Rain Boots. Rubber gloves and trash bags will be provided. DJ – great music and games such as water balloon toss, 3-legged race and limbo. 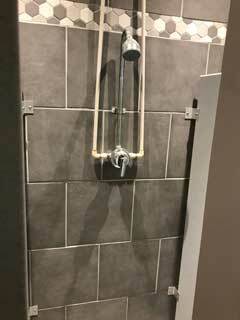 The main scope of the shower room renovations is complete! Our contractor is finishing up to make sure everything is ready by the opening day. Both hot and cold water supplied to showers, so you can set the temperature the way you like it – no more “too hot” or “too cold” water. 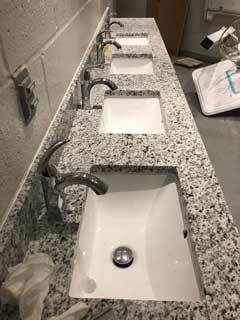 New granite counter with new sinks and new fixtures – also hot and cold water supplied. All new bathroom fixtures; new partitions in lighter color. New exhaust fans in both shower rooms to improve air circulation and reduce moisture.